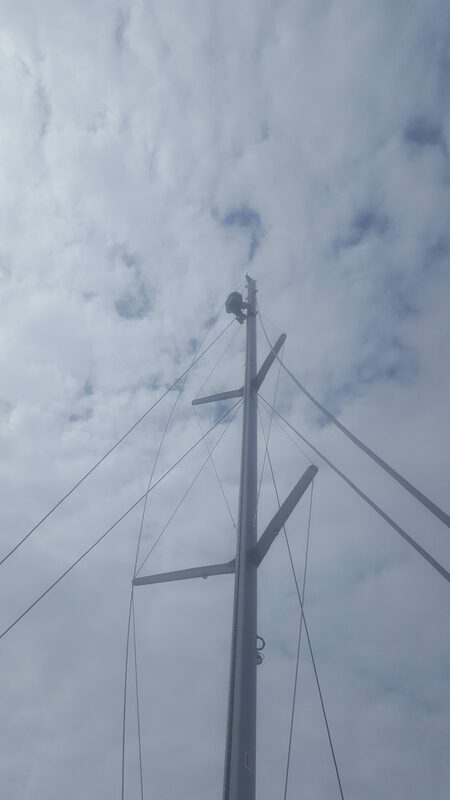 So Graham came yesterday and he went back to work on the mast, although before anything else was done we had to untangle the lines at the top, so we hoisted Graham up in “the chair” all the way up our 18 meter mast. We then proceeded to finish fastening everything down and getting everything in place and then came the boom. By that I meant we all lifted up the boom and got it attached to the mast without anything going boom. 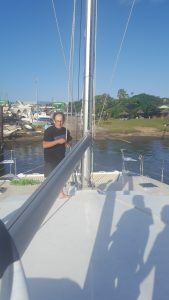 The boom was longer then we originally thought it was as it just barely doesn’t hit our solar panels at the back of the boat and it casts a bit of a shadow on them, which is something we’ll probably try sorting out at some point. Graham then went for another trip up the mast in the chair to install some stuff at the top and then he was finally done his two hour job which ended up taking around four working days. 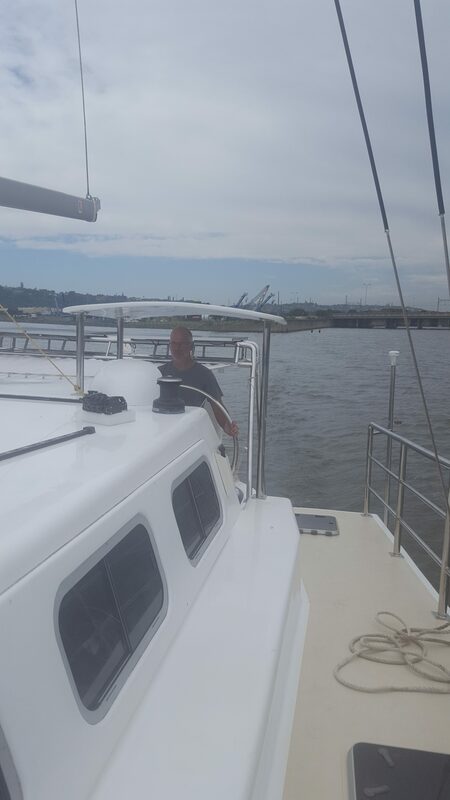 After Graham left we took MissChief out for a spin for a bit and all of us took a turn steering as we motored around Durban. After an hour or so we headed back and unwinded for the night. Today the sail makers came out and measured out our sails and they gave us a quote smaller then they had originally gave us so that was quite good, fortunately they came out fairly early in the day so we got some more time in to practice driving the boat but we didn’t stay out very long this time as a storm was coming in. Here’s to hoping that maybe, just MAYBE we won’t have a dose of that Africa time on the manufacturing of the sails.